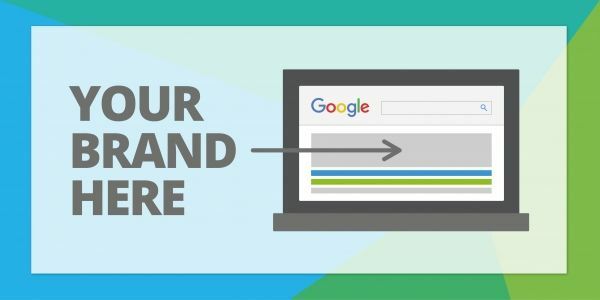 Branded PPC campaigns can be a tricky concept for companies their heads around: why would you pay for your own brand term which should always appear at the top of Google’s organic search results anyway? This is a fair question but there are numerous benefits and reasons (some obvious, some less so) why you should mobilise a branded campaign as part of your B2B lead generation PPC strategy. A branded PPC campaign will enable your company to dominate the Google search results. Ads following best practice will allow you to display your company’s brand messaging (more on this later) via the ad headline, ad text & numerous, relevant ad extensions (Click to call, Sitelinks, Callouts etc). You will guarantee top positions for your brand terms, positionally outperforming your competition (more on this later too), and alongside organic & local listings, creates more opportunities for users to visit your website. As Google change their algorithm and decide what information about your company is shown in their organic listings, branded PPC campaigns provide an opportunity to present clear, relevant & engaging brand messaging to searchers. You can also adapt your messaging quickly. Should you wish to promote a new service or provide a seasonal update, your ads can be updated to display what you want to present to new or existing prospects or clients. Your competitors can bid on your branded terms. They can steal website visits away from you by appearing above your organic listings. You can ensure they do not get top positions for your terms via a brand campaign. Additionally your quality score will be better than your competition ensuring your cost per click (CPC) remains low. Anyone that is searching for your brand will already be familiar with your company. They may have previously visited your website, they know who you are, what your services are and how they will benefit them - and are now ready to get in touch. Your branded PPC campaign will ensure you appear ahead of your competition, with the messaging you want to promote and direct your prospect to the most relevant page for their search. If you’d like to discuss your existing PPC marketing or how a branded campaign could help you increase your B2B lead generation, get in touch with us today.